Several years ago, we presented a Fall Cleaning Checklist. 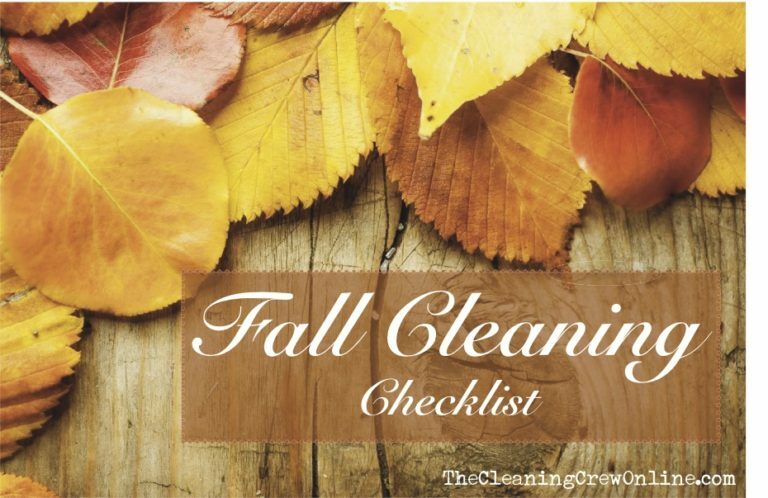 Now that the leaves are falling and cooler weather is blowing in, it is time to bring our checklist back out so you can make sure to have your home ready for the change in seasons. The Holidays will be here before you know it, and what are the holidays without a clean and organized home to celebrate in? Re-Organize and Clean Out Pantry – Throw away expired goods. Re-arrange as needed. Write out a pantry inventory and make a grocery list of the things you will need to stock up on. Keep in mind the fact that community food pantries are in dire need of donations during this time of year. 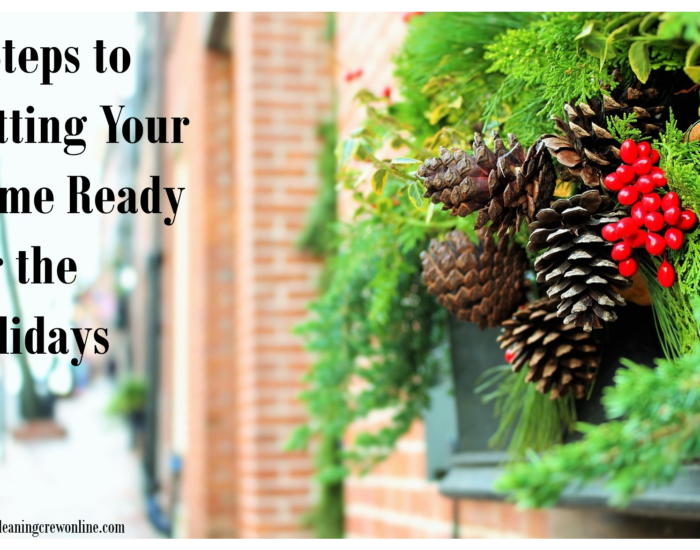 Clean Oven – Prep your oven for holiday cooking and baking. If you don’t have a self-cleaning oven, The Cleaning Crew can offer some quick and easy oven-cleaning solutions. Wipe Down Kitchen Cupboards – Wipe down your kitchen cupboards. Wipe the insides and the tops, if you feel ambitious! Deep Clean the Refrigerator & Freezer — Throw away all expired foods. Removed and scrub shelves, drawers, and other small pieces in order to deep clean. Replace filter on ice-maker or water dispenser. Wash Windows, Inside and Out – This may be your last chance to clean the exterior windows before bad weather sets in. Wash Curtains – Pull down any curtains that can be washed and clean them. If you can’t wash them, take them outside to shake the dust off. Wipe Blinds – Wipe down the blinds of the interior windows. This is best done with a dusting glove. Bring Out Winter Things for Closets – Take this opportunity to reorganize. Clean out the closets and make several organized piles. One for donating, one for keeping, one for trash, and one for seasonal clothes. Prepare For Holiday Guests – Guest rooms should be not only clean, but also inviting. Try setting out flowers or other special touches to make guests feel especially welcome. Clean all Bedding and Bring Out Winter Comforters – Bring out heavier bedding and winter comforters for the cold days ahead. Dust or Wash Light Fixtures – Most light fixtures are removable and unscrew so you can dust or wash them. Make sure to turn the switch off and allow bulbs to cool before you do this! Vacuum Furniture – Vacuum your upholstered furniture and/or dust & wipe down any wooden furniture. Vacuum and Shampoo Carpets – Be sure your carpets are clean before all the winter mud and snow! Schedule a carpet cleaning in early autumn. Dust the House from Top to Bottom – This means everything from the cobwebs in the corners of the ceiling to the baseboards. Go from room to room and dust everything! Dusting top to bottom is the most efficient way to clean. Test Smoke and Carbon Monoxide Detectors – Don’t skip this step, especially if you have any kind of wood fired heat. Just a simple push of a button is all it takes. Brisk and breezy days are best for overcoming the deep-cleaning chores necessary for a clean, comfortable winter home and a wonderful autumn season. Happy Fall!